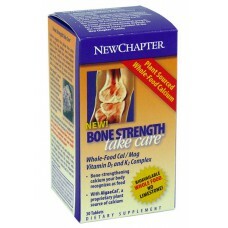 Bone Strength Take Care is plant-sourced, it delivers whole-food Calcium, Magnesium and 72 other trace minerals in a natural honeycomb structure with an open surface area that is easy to digest and utilize. Sustainably Sourced: The Calcium complex in Bone Strength Take Care is derived from a natural plant form called Lithothamnion, sustainably harvested from pristine shores along the Icelandic coastline. Gluten-free. 100% vegetarian, no artificial flavors or colors.